While a rental property is a great way to bring in additional income, it does take a decent amount of work to maintain the property and a positive relationship with your tenants. Once a tenant vacates the property, you should get the home ready to be listed again as a rental quickly to avoid missing out on potential income. 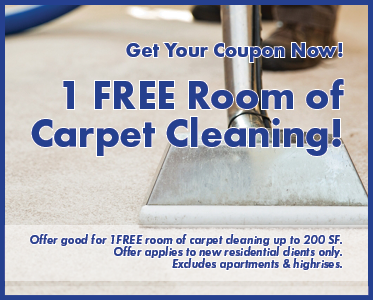 Getting carpet cleaning in DeKalb, IL after paying for maintenance, repairs, and upgrades is an ideal solution. Since it is generally a complicated process to get carpet cleaning when you have tenants living in your rental home, you should make sure to get them cleaned every time a tenant moves out. It is the most effective method to maximize the carpet’s lifespan, which will ultimately save you money in the long run. If you have stains on the carpet from past tenants, you want to make sure you get them removed. These stains will only become more difficult to remove the longer that they are allowed to settle. Allowing pets in your rental property is a great way to increase the percentage of individuals who can rent your home. However, pets will undeniably create an odor in your home, which you should work to eliminate after a tenant leaves. The best way to accomplish this is with carpet cleaning services that includes pet odor removal. Before you take pictures for your rental property, you want to make sure it is ready for new tenants. Carpet cleaning will give your home a fresh look that you need to attract potential tenants from your rental listings. It is also important for impressing people when they perform a visual inspection of the property. If you have any questions about our carpet cleaning services, feel free to contact us. Clean USA is a locally owned and operated company in Sycamore IL. We have provided carpet cleaning services in Dekalb County for over 20 years. We also have cleaned carpets in Sycamore and all the surrounding communities. We have 2 conveniently located offices in Illinois to help better serve our growing list of customers.